When it comes to Thanksgiving desserts, I know my place. And that place is holding a fork and waiting to eat. That’s just how it works! I happen to have two sisters who make totally killer pecan, sweet potato, lemon meringue, and (of course!) pumpkin pies. So it’s really just my job to stuff my face come Thanksgiving time. Since I’ve been making so many cookies these days, I decided to make the cookie version of Thanksgiving dessert. 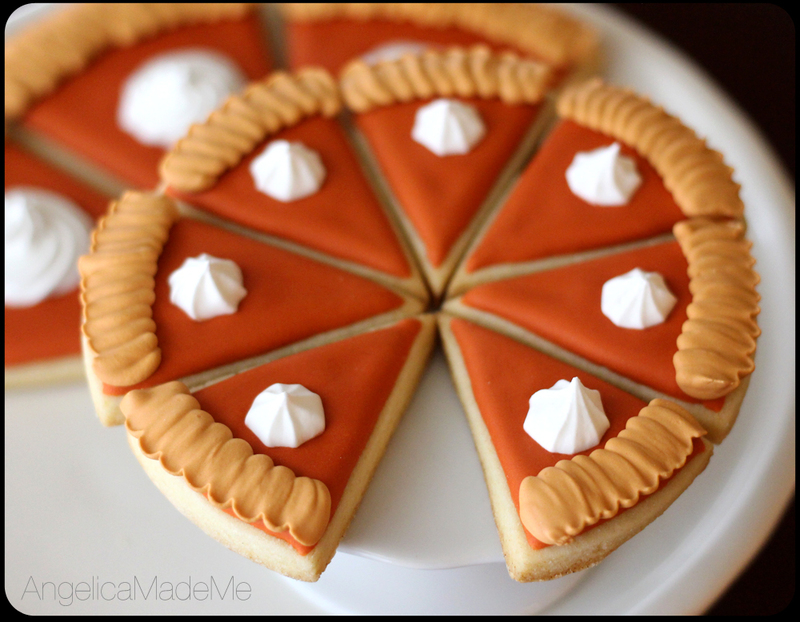 Ever see something online and think, “why didn’t I think of that FIRST?” That was kind of the deal with these pumpkin pie sugar cookies. Sure, they’ve been done before, but they’re so flippin’ cute that I wanted to make my very own to share. I started by whipping the daylights out of some royal icing. I whipped the royal icing into stiff peaks and piped the “whipped cream” dollops onto wax paper using a star tip. I left these to dry overnight so they could then be removed and placed directly onto the pumpkin slices. 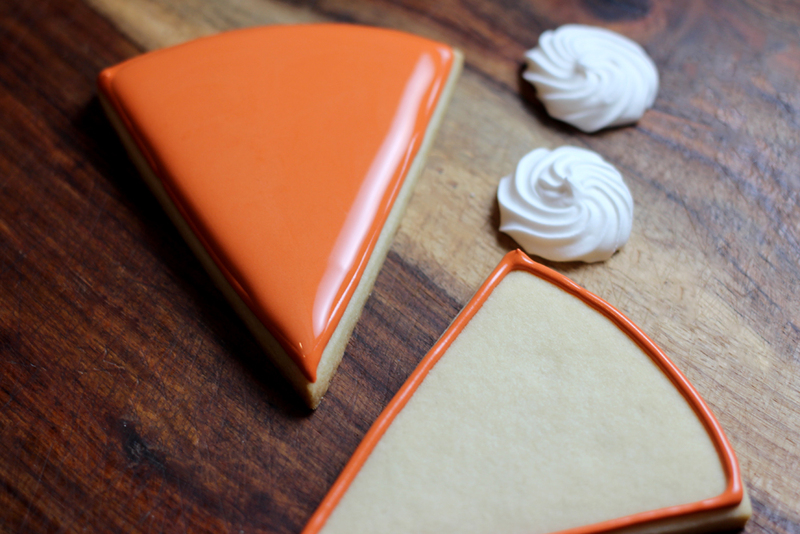 I made teeny tiny pumpkin slices as well as nearly full size slices. 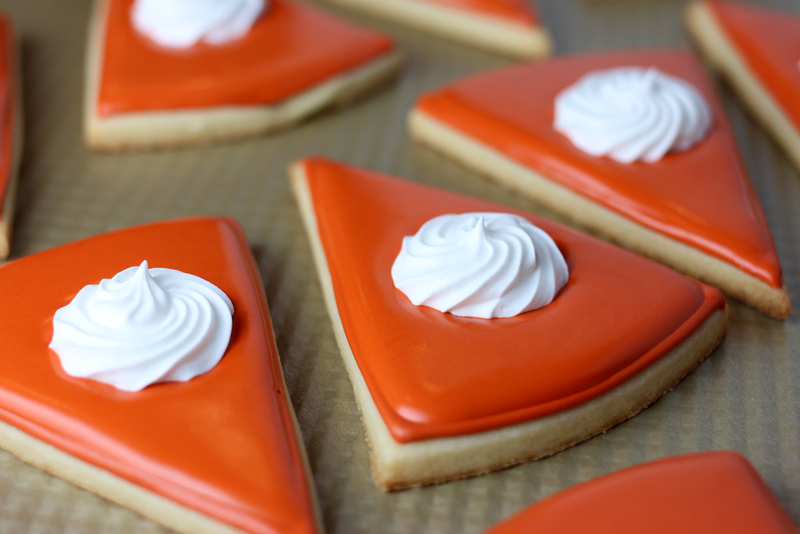 The small slices were made from a large round cookie cutter. The larger slices were made with a metal bowl I have that’s about 8-inches in diameter. Whatever works, right? 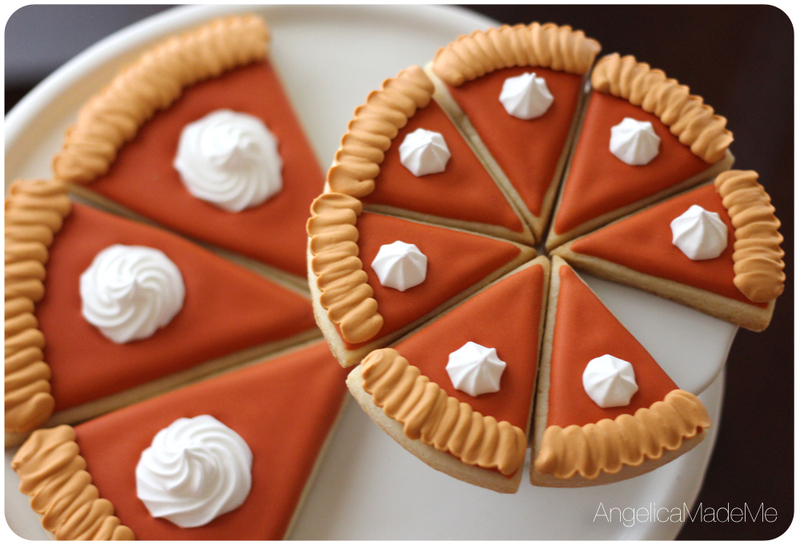 I then cut each cookie dough circle into eight pie slices. Once the cookies were baked and cooled I outlined and filled in the pie slices. I went a little nuts trying to get the perfect pumpkin pie color – the end result is a mix of super red, brown, orange, and yellow. 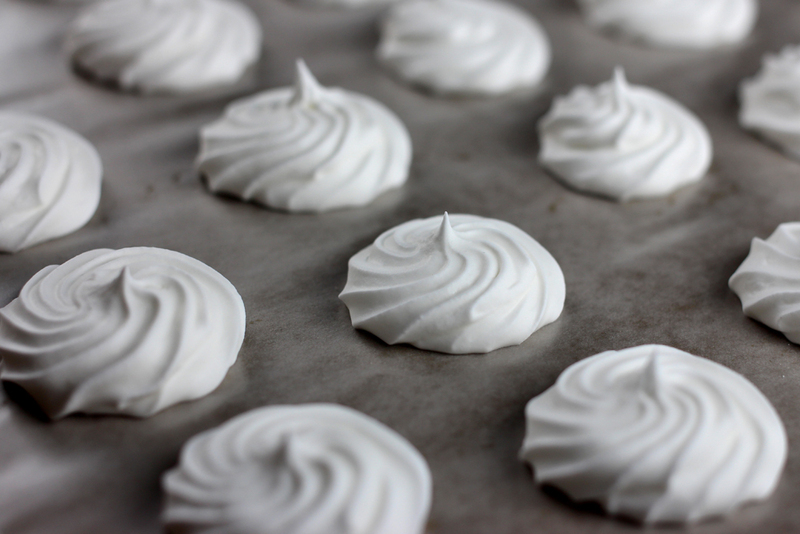 While the icing for the pumpkin pie was still wet, I just dropped on one of the finished “whipped cream” dollops. The finishing touch was the pie crust. The crust color was achieved with some ivory, yellow and brown food coloring mixed with some stiff peak royal icing. It was piped on with a short, squiggly, overlapping motion to help give it a more 3D effect. Ta-da! 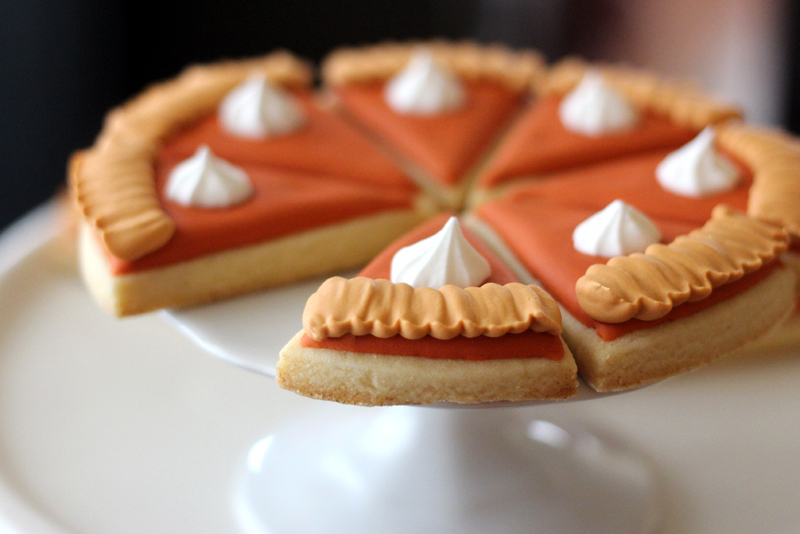 Pumpkin pie sugar cookies. I just stumbled across your site. Your cookies & designs are absolutely amazing! Your technique is killer. Oh no worries I found your FB page & checked out/liked a number of pics in quick order. I really like your design style & creations. Awesome!